It is finally done! The last week of the jam was torture and I spent many late nights and two days with no sleep up until the final submission late Sunday. It has taken some time to recover and that is why this update is a week late. 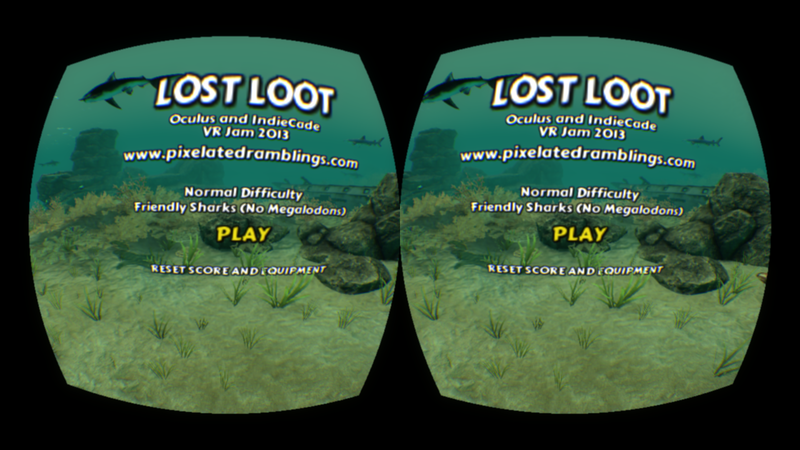 Here is a video of some random gameplay from the final version of LOST LOOT. It is rather long, but as a reward you get to find out one of the locations where the Amulet Of Flying appears at the end! I got most of the functionality I wanted completed and enough content to make it fun. 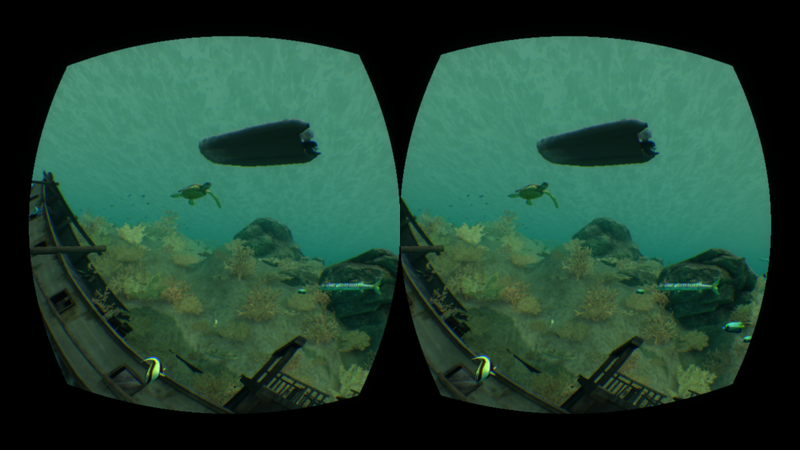 The largest part of the work I did in the last week of the jam was to add all of the sea creatures. I added sharks and a variety of other creatures like turtles, rays, and whales. Then I added several smaller reef fish. 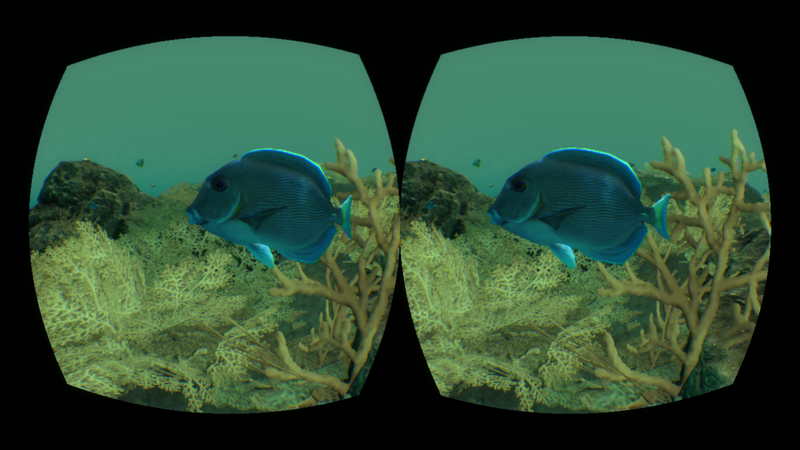 They are small, brightly colored, and it is really neat to get up close and watch them swim around you in VR. All the sea creatures came from the excellent Underwater Animals Pack on the asset store provided by janpec. 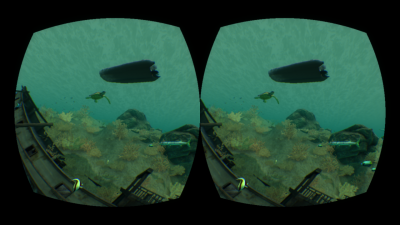 I think small fish swimming around you is on the same level of coolness as particle effects in VR. All of the creatures are very nicely done with detailed models and textures. My 3 year old son loves to see all the fish and sharks swimming around him. His other favorite is the humpback whale because it is so large. The sharks can come after you and bite you if you want. You can make them friendly or hungry from the options before you start the game. I defaulted them to be friendly and not to have the Megalodons because I couldn’t finish the speargun which is used to defend yourself. You can turn them on but they become rather annoying – so the default setting is to have them off. Along with the missing speargun is the missing Megalodon attack. The Megalodons were intended to sometimes zoom in, grab you and carry you off, down to deep water where it gets dark. You would then die from a special Megalodon attack. This would have been cool since the Megalodon is huge and has very scary teeth. Unfortunately I didn’t have time to build the vertical aspect of sea creature movement nor this special attack sequence. 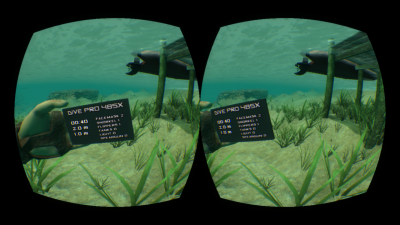 Another feature I completed was the dive computer which shows you air and depth and also has your current equipment levels. The dive computer is held in your left hand and you can press a button to bring it up while you are idle in the water. All of your equipment automatically improves as your score goes up. Once you have tanks you can start diving deeper and then you need the light after that when you can go to the bottom. The last major feature I completed was the hut map and boat. You can see all the ruins and shipwrecks that have been discovered on the island map in the hut. Once these have been discovered you can look at them, they highlight and you can press a button to travel to that site in the boat. 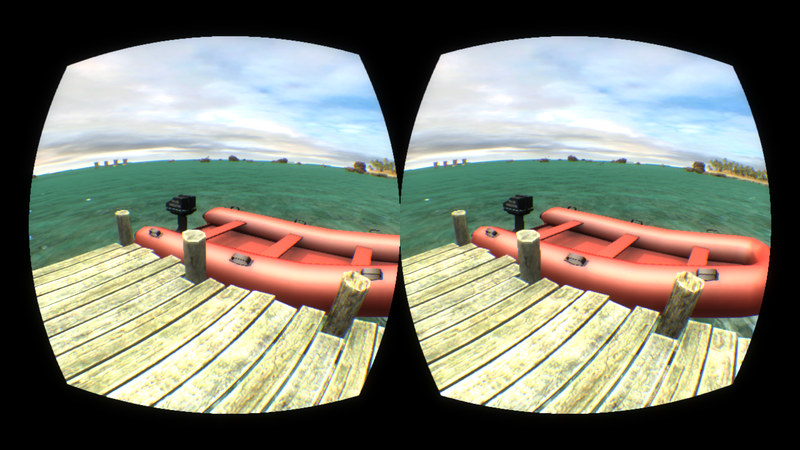 You are instantly transported and the boat is there on the water and you can then go diving. Then simply go back to the boat and press a button to return to the hut. To help you find sites, any artifact treasure picked up, such as maps, scrolls, and books gives a chance to reveal a new site on the map. 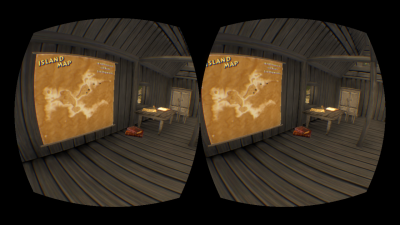 There are several books, a map, and scroll in the hut to give you a possible head start. Now for some of the things that went wrong. I had a number of quality and performance issues that I could not sort out in time and others that just materialized when I was trying to wrap up and I couldn’t resolve. I really got hung up on trying to create content towards the end and lost focus on the basics. One of them is the quality of the text display. 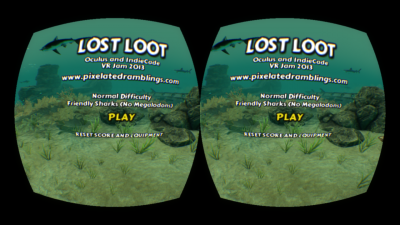 I always work at a 1920×1200 resolution when testing via the Unity editor. I realized in my final testing at 1280×800 that something was making the text look really bad which was much less evident at the higher resolution. As it turns out the full screen AA algorithm I was using was causing problems with the warping and chromatic correction in the sdk. I have subsequently switched to a different algorithm that removes that issue. I think if I had more time I would look into how I could render text separately from the main cameras to avoid post processing. The rendering order must also fixed so text is not being obscured by the environment. Another issue, although less of an immediate problem, is memory consumption. All of the content in the game currently is in one scene and is simply turned on and off as needed. This is highly problematic for a number of reasons and causes a large amount of memory required to run the game. I should be loading content dynamically and deleting it when it is not needed. Also the static batching system in Unity, which helps to reduce draw calls, also replicates mesh data in the batching process which consumes more memory. I may try and work on this after the jam is over. Another area that is just not well done is the number and quality of treasure clusters I created and how well they are placed about the sites. I started with the Fantasy Treasure Loot Kit by 3D Forge, which is a fantastic set of loot to start with. Unfortunately I just didn’t have time to build a lot of interesting clusters of loot and it was even more time consuming setting up the sites. I really intended each site to have some interesting/unique loot that fit the setting. As it turned out some sites are not even setup and many have loot just scattered around. Well, that is it for now, I am continuing to fix bugs and the latest version is available for download (use the link from the sidebar or from projects). Right now I only have a Windows version and really needs a high end system. Anything built in the last few years should be good. I hope to do a Mac version soon. Also, an XBOX 360 controller is recommended, however there are keyboard/mouse controls if you don’t own one. The manual is bundled in the .zip download. Please give it a try and let me know what you liked or didn’t like and if you had technical problems and what performance was like. 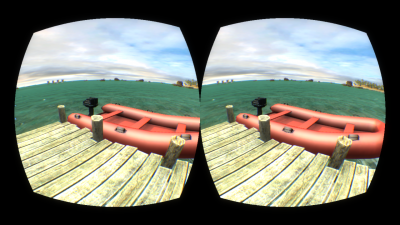 You can visit the Oculus VR Jam Forum Post for reviews, tips, feedback etc. This is a nice review that came out after the VR Jam was over and wanted to link it here – thanks Jon. 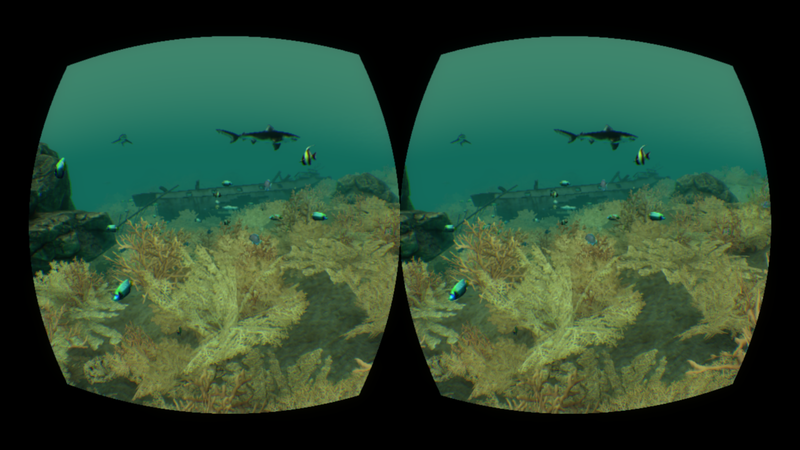 Tagged head mounted displays, indiecade, lost loot, oculus rift, sealife, treasure diving, vr, vrjam.